Simufact Welding provides additional modules with further remarkable functionalities for an every-day application of welding simulation software. Those modules are represented by the module groups Performance, Material Data, and Advanced Material Models. 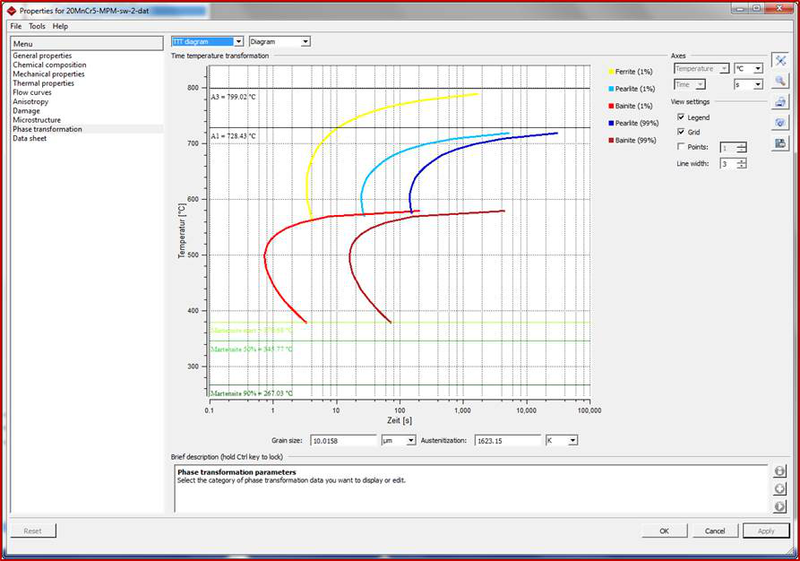 Simufact Welding Performance provides parallelization technology to speed up calculations if it comes to large models. Two approaches are available: SMP (Shared Memory Parallelization) and DDM (Domain Decomposition Method). 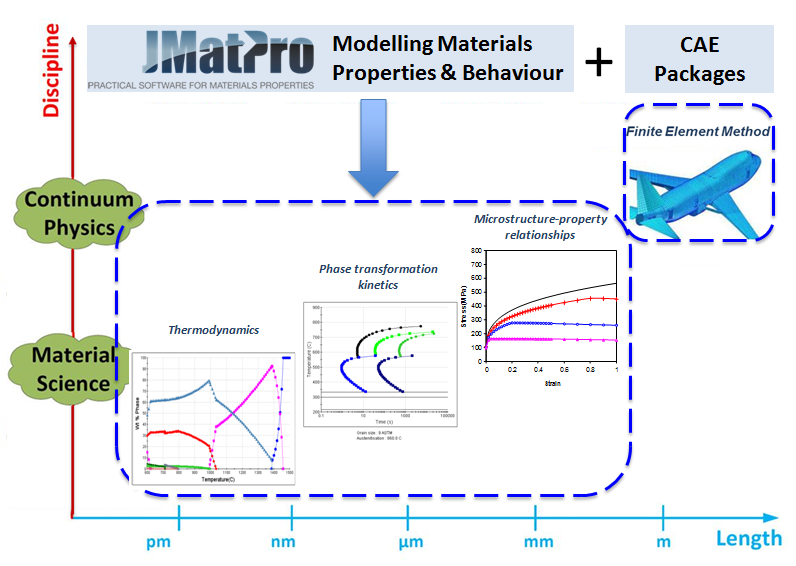 In addition to the material data included in the Simufact Welding Hub, Simufact Welding Material Data provides different sets of JMatPro licenses that allow calculations of material properties, including nickel (titanium and copper) alloys as well as austenitic and low alloyed steels. Advanced material models allows calculation of phase transformation behavior in general steels. Simufact Welding uses parallelization technology to speed up calculations if it comes to large models. allows one solver to use multiple cores during the solution and assembly of linear systems of equations. subdivides the model into several domains, each assigned to one solver instance. For each instance, SMP can be used in order to calculate the solution for this domain on several cores. DDM requires Intel MPI library being installed on the machine. For instance, if the model contains 100,000 elements and is to be calculated on a machine with 16 cores, the desired number of domains would be 8 with 2 cores per domain. Depending on the particular model some other combinations might lead to similar or even better results. Simufact Welding provides an automatic capability for domain subdivision. The subdivision can be done along a certain coordinate axis, radial or axial (for nearly axisymmetric models) with respect to a certain axis or using internal algorithms. Needed hardware highly depends on the expected model size. We usually recommend 1 GB of RAM per 10,000 elements, otherwise it cannot be guaranteed that the model fits into the memory during the calculation, this would basically lead to an abortion of the calculation. 32 GB RAM are usually sufficient for smaller models, 64 GB are recommended for mid-size models, large models with more than 600,000 elements might require 128 GB or more physical memory. The used CPU and number of cores on the other hand, controls the calculation time, but does not influence the general possibility to run a calculation. Simufact Welding licenses usually contain at least eight parallel cores, so a CPU with at least 8 physical cores is recommended. Depending on the density of result outputs, result files might get very large, so at least 1 TB of free hard disk space is needed for large models. We also recommend a graphic adapter with 1 GB of internal memory supporting OpenGL 2.1 or newer. For best experience we recommend usage of most recent device drivers available from the manufacturer. Additional material data other than those included in Simufact Welding’s database are available for purchase. For general steels, in addition to material data needed for forming simulation (like thermophysical, mechanical, and plastic properties), phase transformation diagrams are provided for heat treatment simulation. For stainless steels, cobalt based alloys, nickel based alloys, Ni-Fe-superalloys, and titanium alloys, it is possible to calculate all properties needed for forming simulation. Material data can be purchased for a single alloy, in packages of five or ten alloys, and subsequently be imported into the Simufact Material database. If you need more information on the availability of material data for use in Simufact Welding or if you would like tips on how to acquire material data, then please feel free to contact us. In cooperation with the Institute of Materials Science and Technology at the Vienna University of Technology we can arrange more material data (e.g. for aluminum and titanium) for you. The calculation of residual stresses and investigations of the stability of welded components usually requires complex material models. For general steels, metallurgical phase transformation during heating and cooling is an important mechanism influencing hardening behavior, strains and plasticity. The additional module Simufact Welding Advanced Material Models can take these effects into account during a calculation. Simufact Welding Advanced Material Models can take into account all relevant effects of phase transformations concerning welding distortions and residual stresses, particularly hardening because of the creation of bainite and martensite, and transformation strains. The material properties of a microstructure containing a mixture of different phases is calculated by: the determination of phase proportions of different present metallurgical phases, definition of properties of those phases, and application of linear mixing rules. The criterion for calculation of phase proportions during heating is the austenitisation temperature A3. During cooling, the phase proportions are calculated based on isothermal transformation diagrams. Those are to be read stepwise with the application of additive transformation rules. The remaining austenite proportion and time to the next temperature level are weighted in each step. This allows for the calculation of non-isothermal cases by isothermal diagrams. Transformation strains are processed by taking volume change into account. Further effects are transformation induced plasticity (calculated through definition of TRIP-coefficients), as well as latent heat, which appears during metallurgical transformations.